Proposed high-rise would add up to 275 "ultra luxury" apartments to downtown Milwaukee -- with no public financing. Back to the full article. 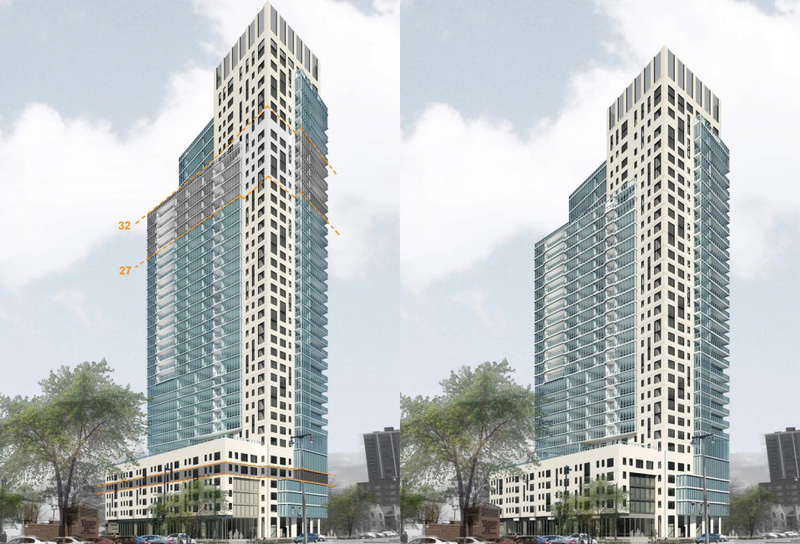 Renderings of the proposed 700 E Kilbourn high-rise apartment tower. One version has floors 27 through 32 removed and one level of parking removed.